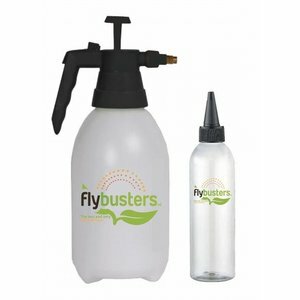 Your terrace free of flies! 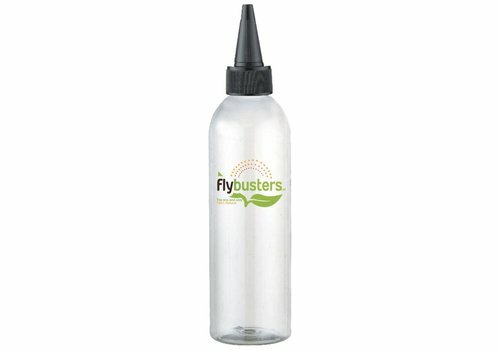 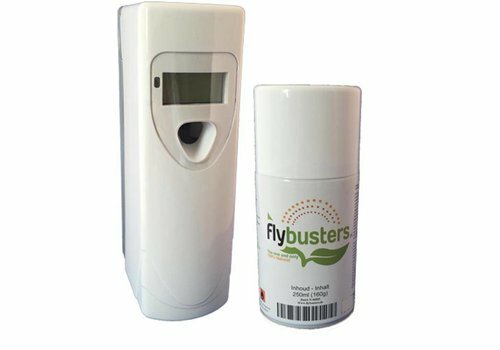 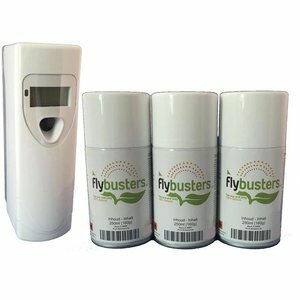 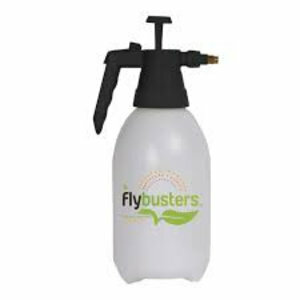 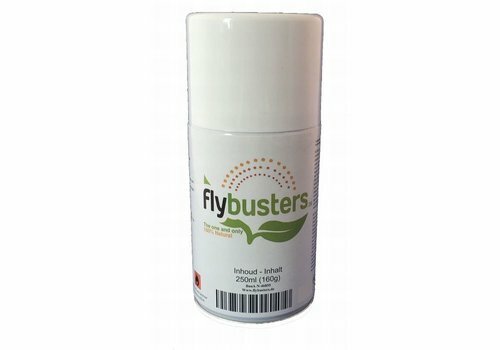 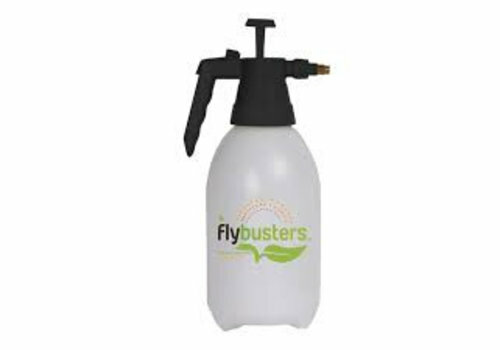 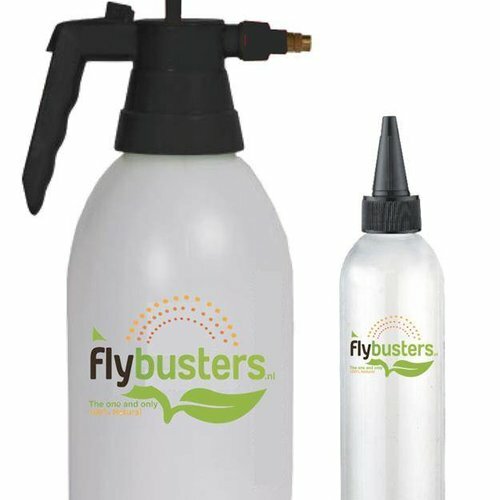 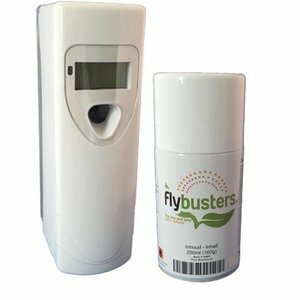 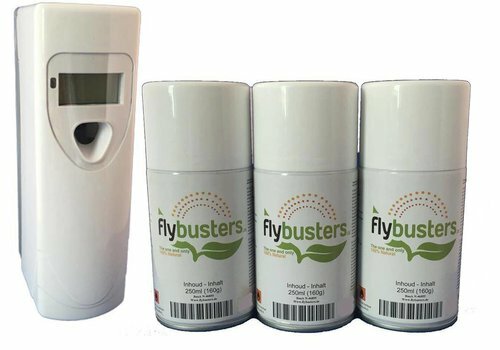 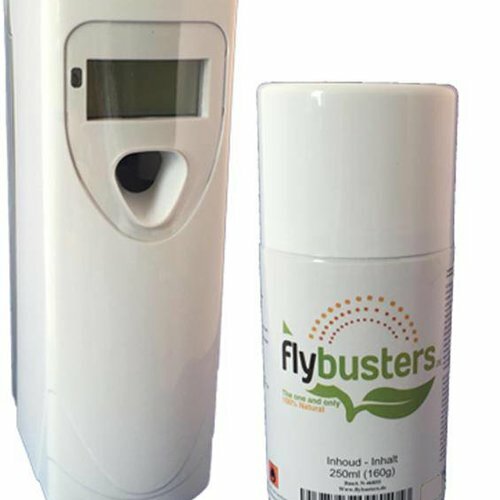 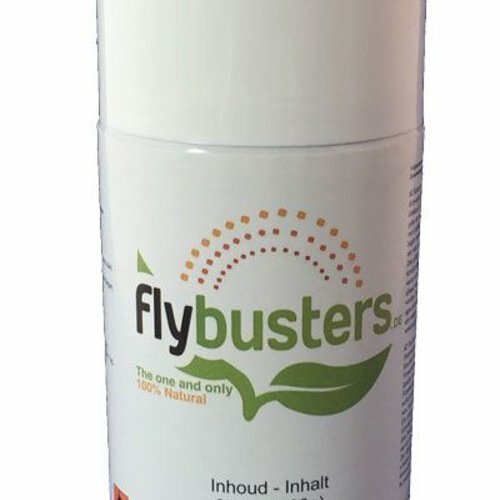 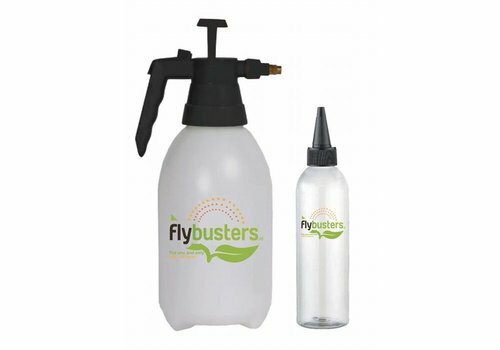 Flybusters is a natural system against flies, which works by a automatic dispenser that sprays on certain times an environmental friendly substance in the room. 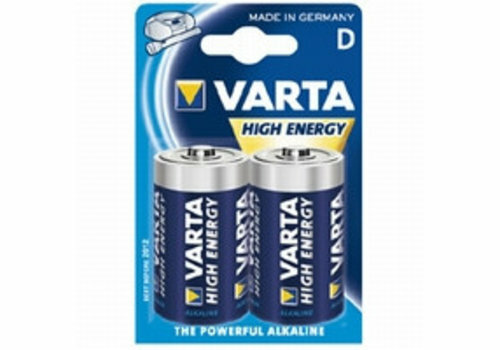 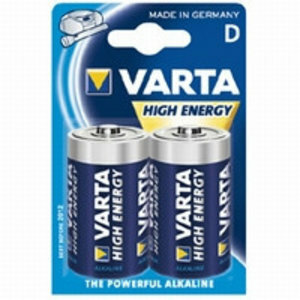 The substance is harmless to humans and animals. 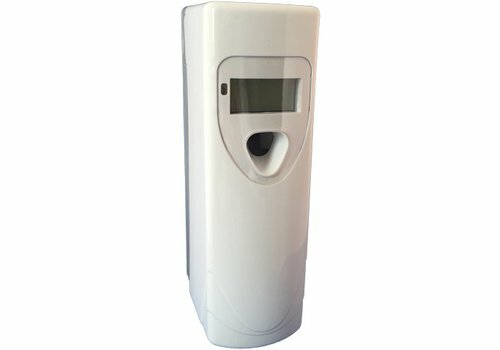 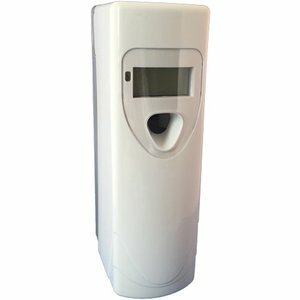 The dispenser set is suitable for rooms up to 80m²; for example livingrooms, bedrooms, kitchens, tents, terraces, caravans, dogkennels, horseboxes et cetera.